The key to recovery and restoration of your independence starts at Highland Ridge Rehab Center. We know you want to choose a rehabilitation center that offers you all of the comforts of home in a therapeutic setting. That is why we have joined together with our community and medical professionals to provide services in your neighborhood. 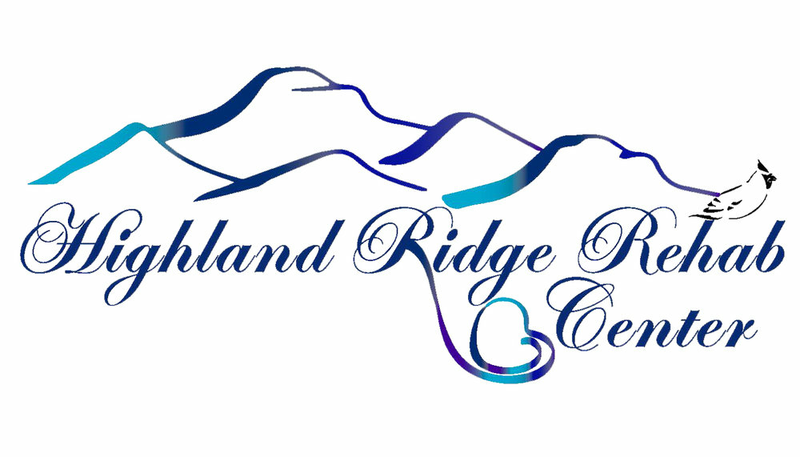 Highland Ridge Rehab Center services the entire New River Valley and surrounding communities. We offer Skilled Nursing Services, Short Term Rehabilitation after a short hospital stay, and Long Term Nursing services. Most individuals don't want to think of needing our services, but we are here for when you need us. We would like to invite you to come by for a tour and see why we are one of the highest rated facilities in the area (www.medicare.gov). We added a Rehabilitation addition about 7 years ago to allow for more private accommodations for individuals. Each room is private with a master bath and walk in closet, large flat screen tv's, and wireless internet. For more information about our services call (540) 674-4193 or visit us at 5872 Hanks Avenue, Dublin VA 24084.